Awesome, absolutely immaculate, Move-In-Ready 2-3 BR Highlands ranch, on quiet, tree-lined, no outlet ''circular'' street that's both secluded AND < 1 Mi from Gardiner Ln Shopping Ctr & all Bardstown Rd has to offer. Freshlly Painted and UPDATED. Unique, cool, brick front lamp post greets you and welcomes you into a bright open Liiving Room w/ Hardwood Floors, picture window and cozy Wood-burning Fireplace. Spacious gourmet kitchen w/ tile back splash and breakfast counter open onto cheerful Dining Area, which flows out to covered rear patio, looking out on a large, shaded, fenced yard. Large 1st Flr Master Suite was created by combo of 2 smaller BRs & features 2 closets ( 1 a huge walk-in) & Full, tiled Bath. Finished basement features a large finished family room ( w/ 2nd cozy Fireplace surrounded by brick hearth) & potential 3rd BR or home office, nicely-appointed, tiled 1/2 Bath & & an unfinished workshop/utility/laundry area. Insulated windows are less than 5 years old & Roof less than 6 yrs old. Oversized, Attached garage has exceedingly high ceilings, is extra-deep & is both suitable for vehicle and provides great storage space. A Beautiful home in a beautiful area. SchoolsClick map icons below to view information for schools near 3123 Sunny Ln Louisville, KY 40205. Real estate listing at 3123 Sunny Ln Louisville, KY 40205. 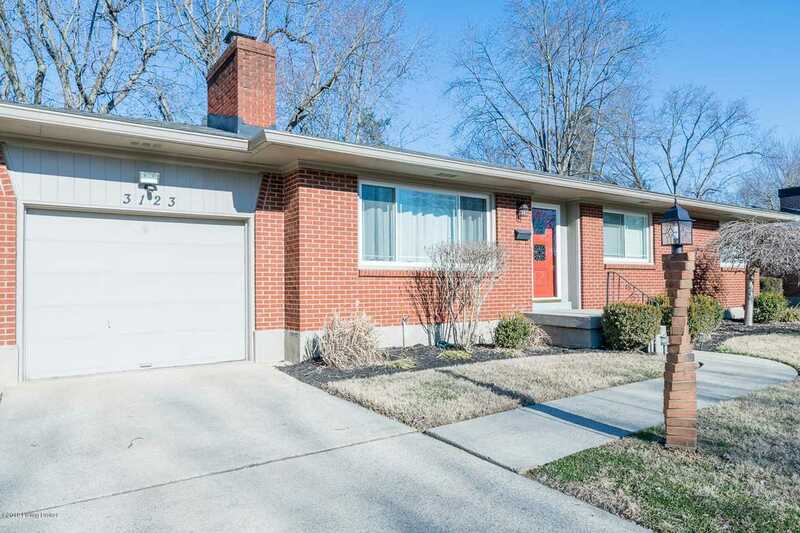 Description: The real estate listing at 3123 Sunny Ln Louisville, KY 40205 with the MLS# 1523484 is currently listed for $212,500 and has been on the Louisville market for 88 days. You are viewing the GLAR MLS property details of the real estate listing at 3123 Sunny Ln Louisville, KY 40205, which is located in the Highlands neighborhood, includes 2 bedrooms and 3 bathrooms, and has approximately 2263 sq.ft. of living area.